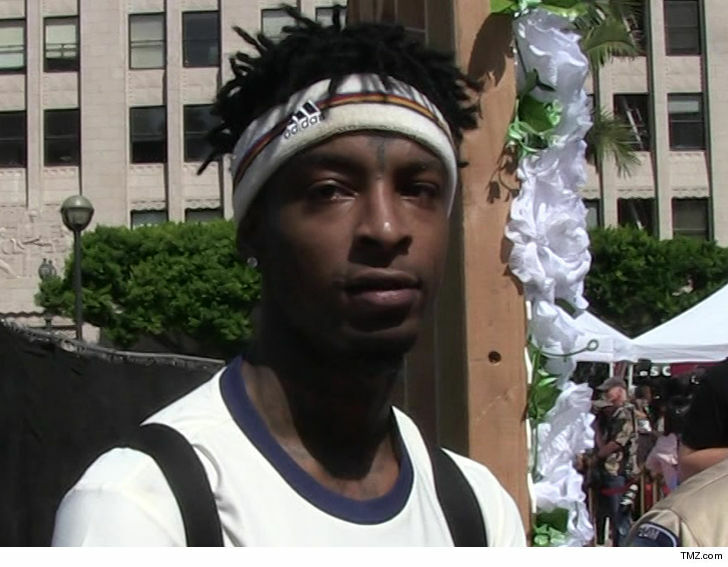 21 Savage was picked up by ICE early Sunday morning. He apparently entered the U.S. legally in 2005 but his visa expired and he reportedly is here illegally. He reportedly is being held for removal proceedings … this for being in the country illegally and for being a felon. He was convicted of drug charges in 2014. An ICE spokesperson says 21 Sav — real name Sha Yaa Bin Abraham-Joseph — is a U.K. national who is unlawfully in the country, and has been since 2006 when his visa expired. They say he came to the States a year earlier at the age of 12. The spox goes on to say that Sav is currently in ICE custody in Georgia and that he’s been placed into removal proceedings before the federal immigration courts. They add that ICE will await the outcome of his case before a judge to determine future actions. It’s unclear what United Kingdom country or territory he’s from exactly, but some reports say he hails from the Caribbean island of Dominica, which is an associated state of the U.K.